The Los Frailes Islands are located about 12km north-west in front of the coast of Margarita, getting there from the town of El Tirano - 5km before reaching the famous Playa el Agua! Typical village of fishermen’s in a colonial style, with some large hotels and several nice hostels. The center of this village is the Supermarket, Male El Campo and the Water Park. There are also some restaurants, pharmacies, taverns, and cyber cafés. El Tirano (The Tyrant) is known for its fish market and tourist boats to go to the islands Los Frailes. 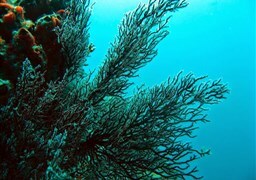 Our Dive Center is on the main street of town, located in the Hotel Oasis. Here we are offering daily excursions for divers, beginner diving and snorkeling to the islands Los Frailes (SSI Scubadiving Margarita 0416 896 9040). To reach the village El Tirano from Porlamar and Pampatar: the easiest way is to pass the shopping male Sambil in the direction of La Asuncion. At the end of this highway grabbing the Av. 31 de Julio Avenue in the direction of Playa el Agua. Entering the town of El Tirano, from the Supermarket Antolin del Campo, after the Autowash / before going to reach the cemetery, to the left side is the small Hotel Oasis with our diving school. Always good to call before your visit us, because if we have lot of work to do and we wound have time for you! At the edge of the fish market are a few penieros (small fishing boats) waiting. The most popular boats are the boats of Captain Victor "Gordo". He has three boats for disposal. The fastest and most comfortable boats for divers and their families registered with TTAC all permits and INEA. The fishing area, with all the variety of species from the Caribbean Sea and Atlantic Ocean. A rocky formation with nine different islands. The largest island is Grand Frailes, with the little town Puerto Real – most boats make a stops to eat and rest there. - Cominoto Hole, max. 16m without currents, is like a valley with rocks and corals surrounded. 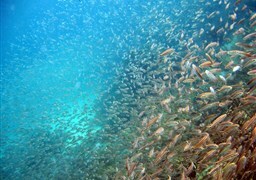 Here you can see typical the batfish, lobsters, large grouper, Catalan, morays, octopus, rays and eels. - Cominoto Velero, max. 25m often with strong currents, is like an open bay with a sandy bottom, large brain coral, rocks and a kind of a small shipwreck. Here you can see typical the batfish, lobsters, scorpionfish, catalan, trunkfish, morays, barracudas, rays and eels. - The Pecha. max. 16m with currents ad the outside, an enclosed bay perfect for beginners diving! With sandy bottom. 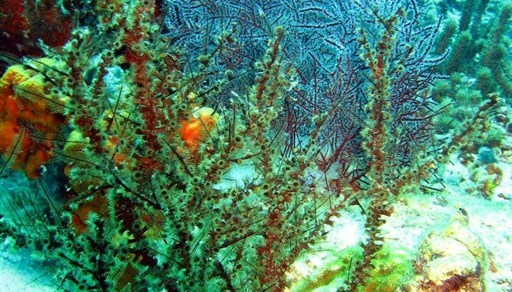 Shrimps, hermits, scorpion fish, trumpet fish, sand diver and the large balloon fish/box fish are typical of this area. By the outside we also have green morays (Congreos) and turtles! - Payap. max. 17m often with strong currents, is like an open bay with a sandy bottom, large brain coral, rocks and sponges. Here you can see typical the batfish, lobsters, large grouper, catalan, trunkfish, triggerfish, morays, octopus, barracudas, rays and eels. 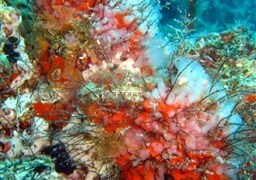 Each dive site can be dived on different ways to dive several days. The dive sites of the backside of Los Frailes islands are Inferno, Ichao, Pena and Marbobo can be dived only a few days per year, the current is very strong. 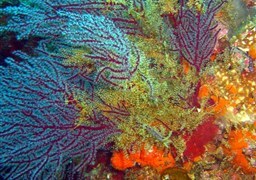 More details are available calling our dive center or on the Internet. 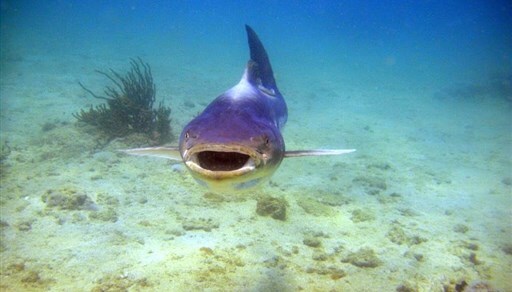 The excursions always including two dives and a meal at the ranch (full day Los Frailes), the base of the day tour. 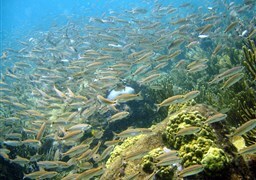 The excursion of diving and snorkeling "Full Day" with food and drinks! 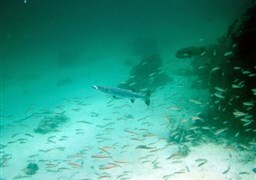 After your reservation we are expecting you at the beach of El Tirano to join the group and introduce your dive guides. If you live in the area of ? ?Playa el Agua, Playa Manzanillo, Playa Parguito, Playa Playa el Tirano or Cardon, we pick you up at 08:30 am at home / hotel with our free shuttle! Check-In 8:45 am in the boat with a general brifing on the activities and program of the day. 9:00 am leaving out of El Tirano to the Los Frailes Islands, a 35min trip with observations of our birds as: Fregata, El Bobo and the Pelicano. Sometimes we also see Dolphins, Whales and Flying Fishes. Getting to the Islands of Los Frailes, your companions for snorkelling will go to the shallow water area, so we will have quiet space for preparing our diving equipment. We check all units good, helping those who need help. 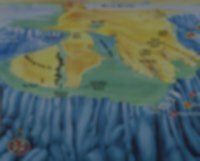 Then there is time to know the dive plan, maps about the water area and personal information from your guide. 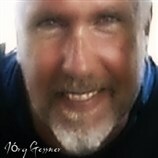 At 10:30 am we are going to make the first dive of the day. For new divers in our group will be applied a "Check" in the first minutes of immersion. So the guides will recognize a little better divers and their capabilities, and we can avoid any surprises under the water! 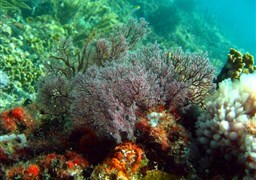 Our dives are always generally very slow, relaxed and without time limit. Planned with tables "0-recompression" and dive computers. 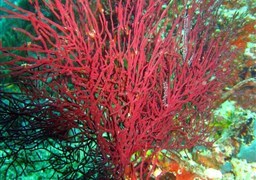 During the dives we will show you the "Highlights" of the fauna and flora of the Caribbean Sea, ideal for photographers. 12:00 pm we'll be back to "Victor Ranch," a viewpoint with a typical restaurant environment of the Margariteño. The BBQ type food will be chicken and fish, bread, salad and fruit, drinks and coffees - just very delicious ;-) Enjoying the break until 01:15 pm, than we prepare the team for the second dive. After our brifing we assemble the buddy-teams and getting launched in a different place. The dive ends at 02:30 pm with a debrifing on the things we've seen during the day, specific information about the sites, animals or other diving programs with us. The return to town El Tirano will be scheduled by 03:30 pm, and then we fill the logs together and saying goodbye until next time!